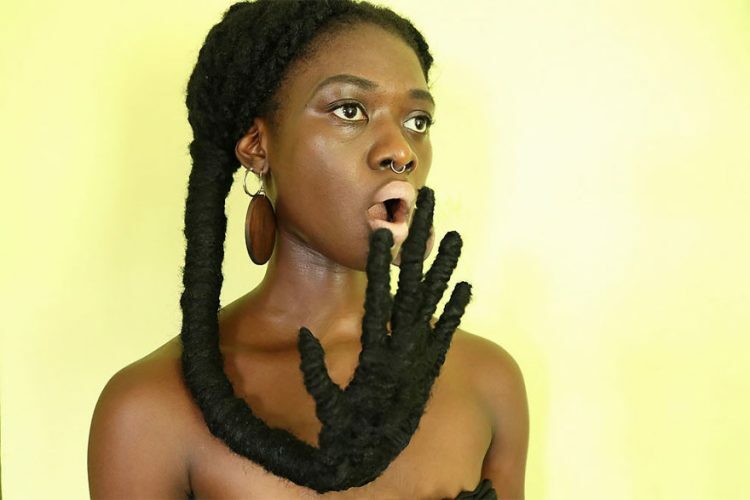 We’ve seen artists use human hair as a medium before, but not while it’s still attached to the scalp, and that’s precisely what makes Laetitia’s art so impressive. 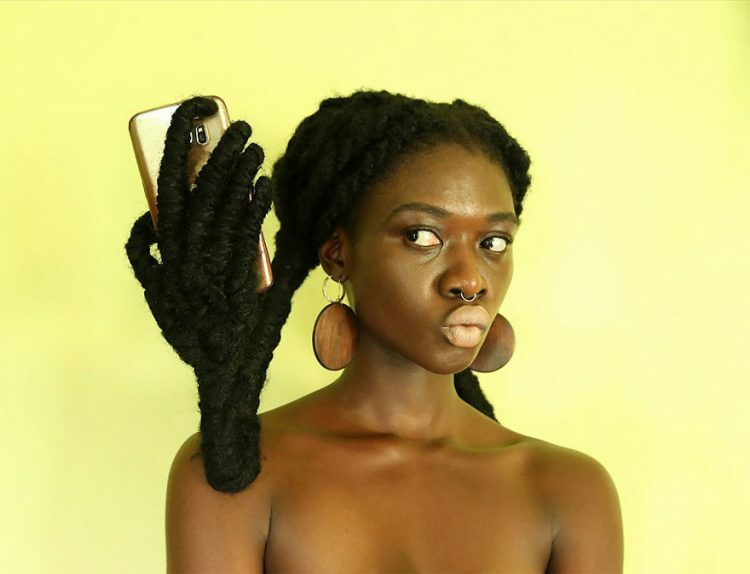 Using her own curly hair, hidden wire and some fabric, the young fashion designer is able to sculpt pretty much any shape imaginable, from giant hands holding her phone for a selfie, or a tree complete with green leaves, to a small female dancer. 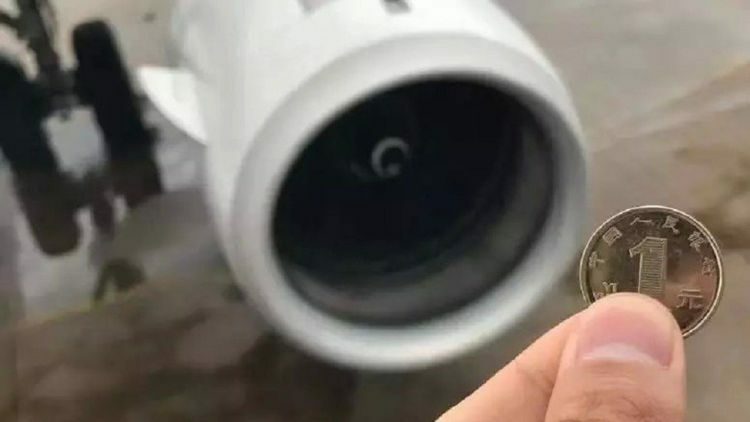 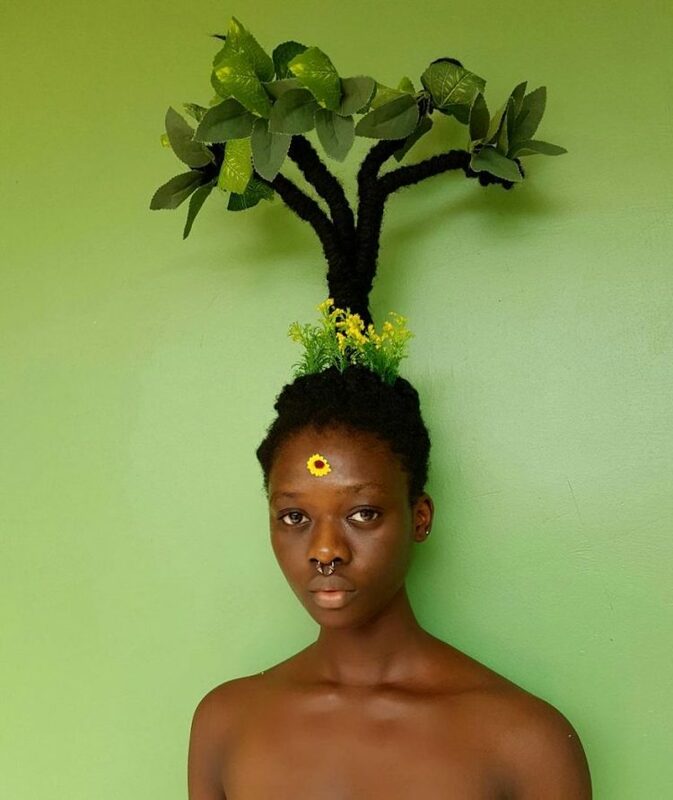 The only limit seems to be her imagination. 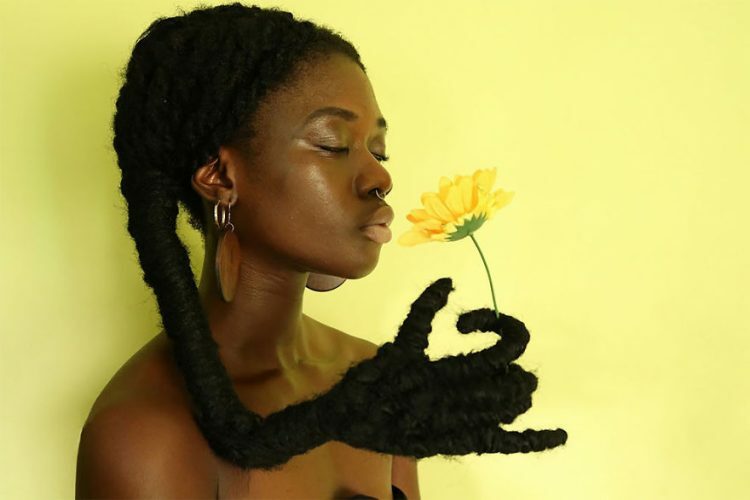 The 21-year old claims that it takes her just a few minutes to sculpt her hair into most shapes, but the hands, which have gotten the most attention online, took her half a day to create and position for different poses. 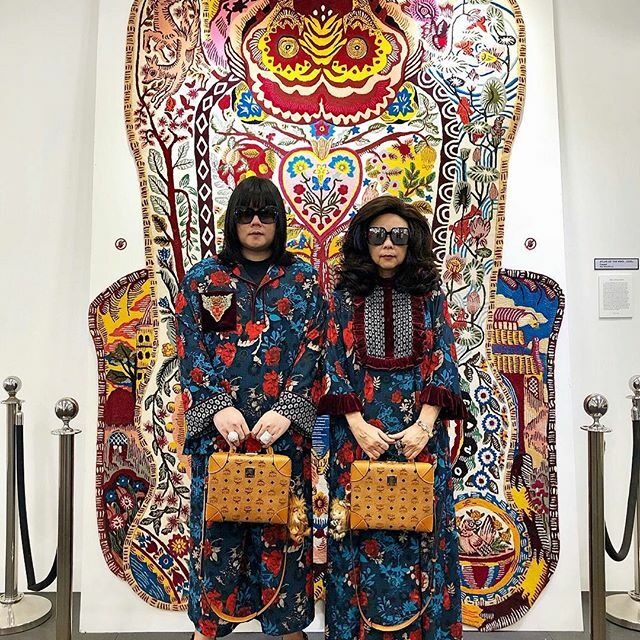 While KY’s art is definitely playful in nature, but she told Aplus that it also carries a serious and important message. 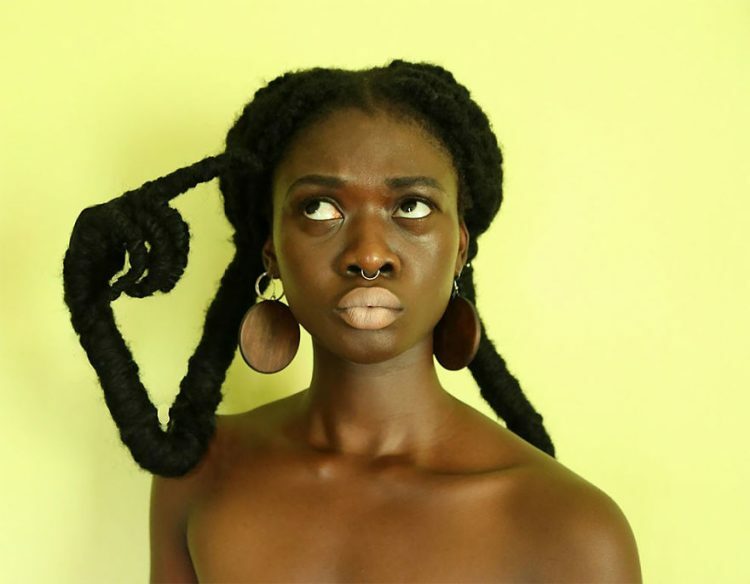 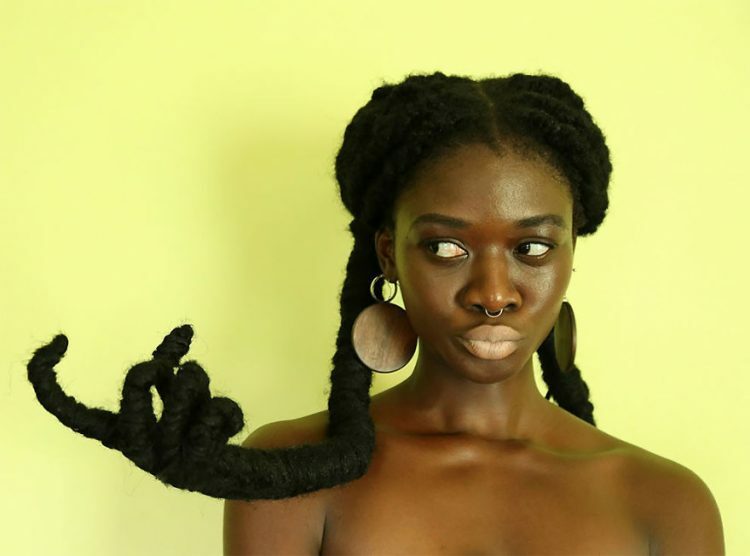 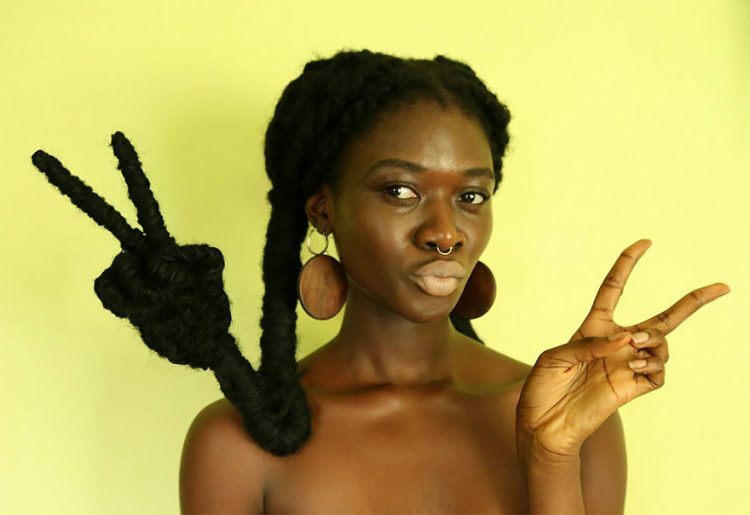 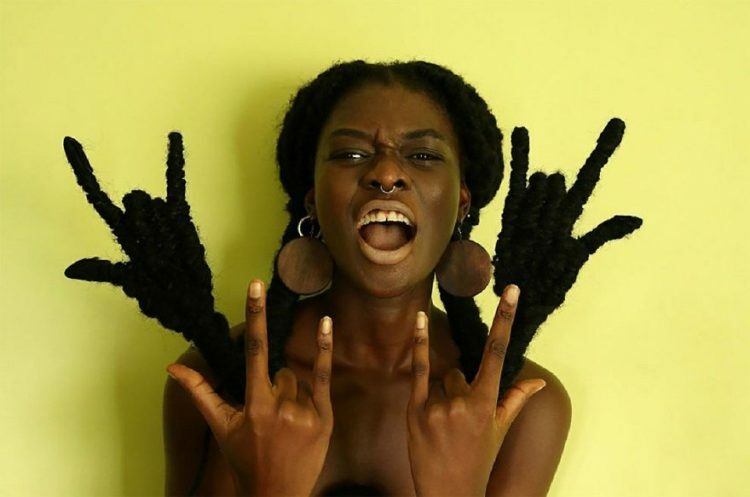 She says that African women’s hair has long been considered as “not pretty enough”, and through her art she wants to change that perception. 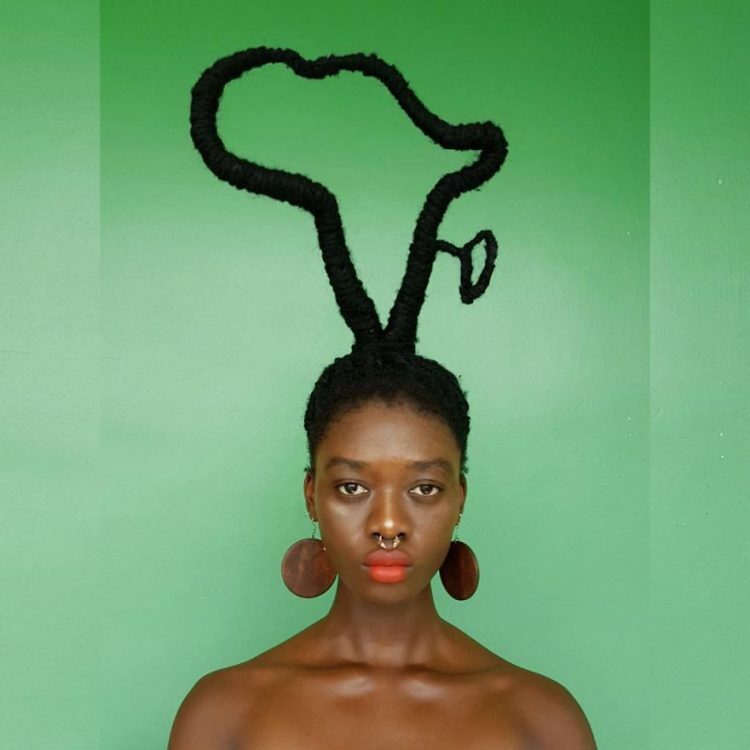 “And with the return of natural hair to the Black community, hairstyles [have] become a beauty asset, a way of self-affirmation and [a] claim of its beauty. 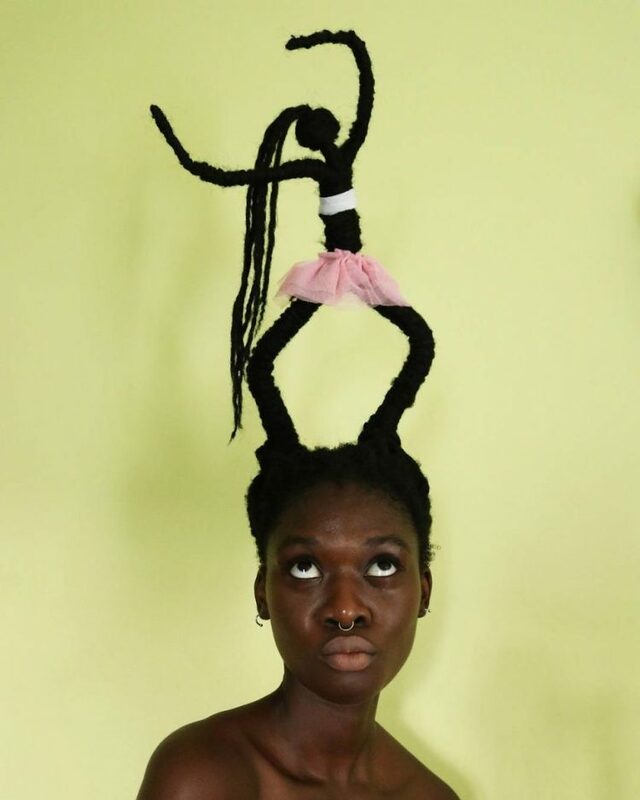 To use [these] hairstyles as means of expression is, therefore, [powerful] because it speaks to all its Black women who have had, for a long time, made believe that their hair was not dope enough,” the artist wrote in an email. 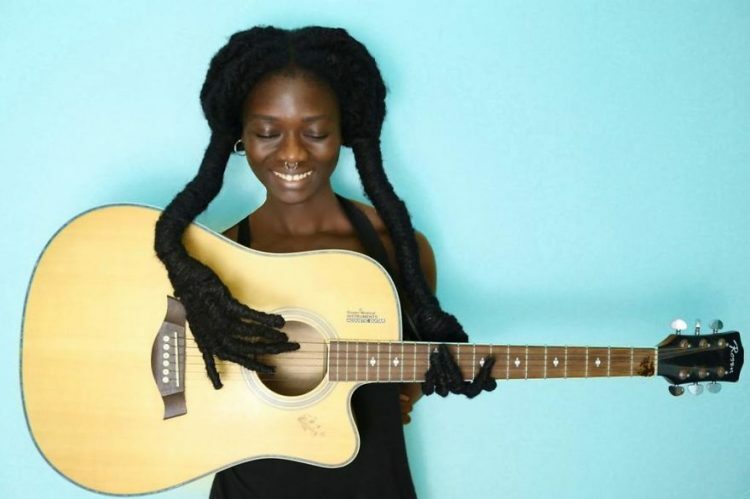 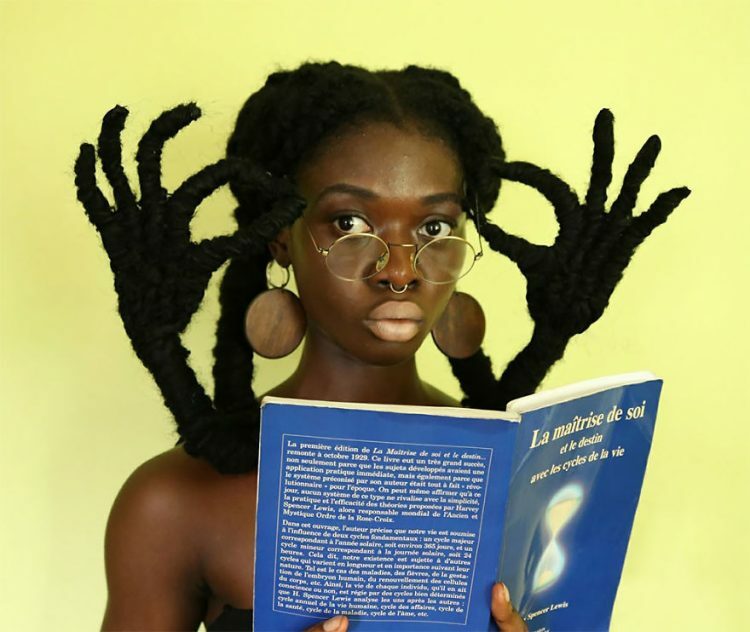 Regarding the attention her hair art has received over the last couple of weeks, Laetitia KY told Buzzfeed that she never expected it to happen, but now that it has, it’s awesome.